Gifts For Fathers Day– A father without any doubt is the most important person in one’s life and family. Fathers work hard day and night just to provide us a comfortable lifestyle. Our fathers carry half of our genetic makeup and our relationship with our dads plays a huge part in who we will become because our dads are our role models and we look up to them for everything. To celebrate and honor the contributions that father figures make in ones life father’s day is celebrated all across the globe on the third Sunday of June. Mark your calendars it is 16th of June this year. It is your responsibility to make sure that your dad has the best time on this day because this whole day is his day, it is created in his honor. We have hardly seen our dads buy something for them and invest in themselves. All they do and care about is us but now it’s their time. It’s time to make our dads feel special. You should plan some great family time at home that could either be a movie night with popcorns or BBQ night with loud music. But not just this you should buy something for him and give it to him that he will remember forever. You can have a look at our gift list this will help you buy him something special and more of his interest. Find out what your dad needs the most or something he has been talking about buying since very long. Do not invest too much money in something that your father will never use or will have to think twice before using that thing. How excited is your dad about your gifts when you are opening them? Wrap his gifts and see his excitement for his own gifts. Don’t buy your dad a gift that you think he will never use, it’s important to figure out his interests before buying him a gift. Dad’s usually don’t ask for anything and we assume that they have all that they need. But we need to look after our dads just the way they look after us. 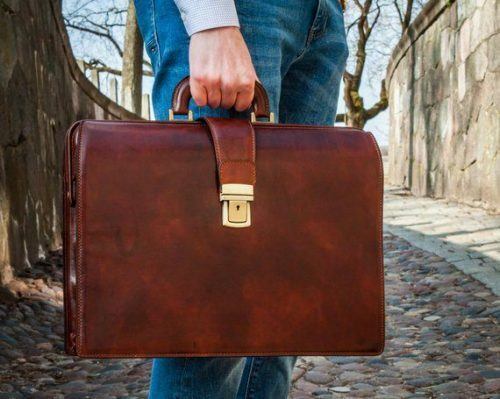 Have you ever thought of how old your dad’s briefcase is? Is he still using the same briefcase from the last five years? He might need to change it now and buy a new one. Gift your dad a briefcase preferable in original leather material. Let him go to his office carrying a new briefcase after father’s day. Doesn’t matter what kind of person your dad is. Whether he is more of a suit and tie guy or he prefers to be laidback in jeans and a T-shirt, an enthralling and enchanting watch like a Vincero model will elevate his looks to new heights. How much time does your dad give to himself? For how long does he stand in front of the mirror? He can’t break moms record at least ever in his life. 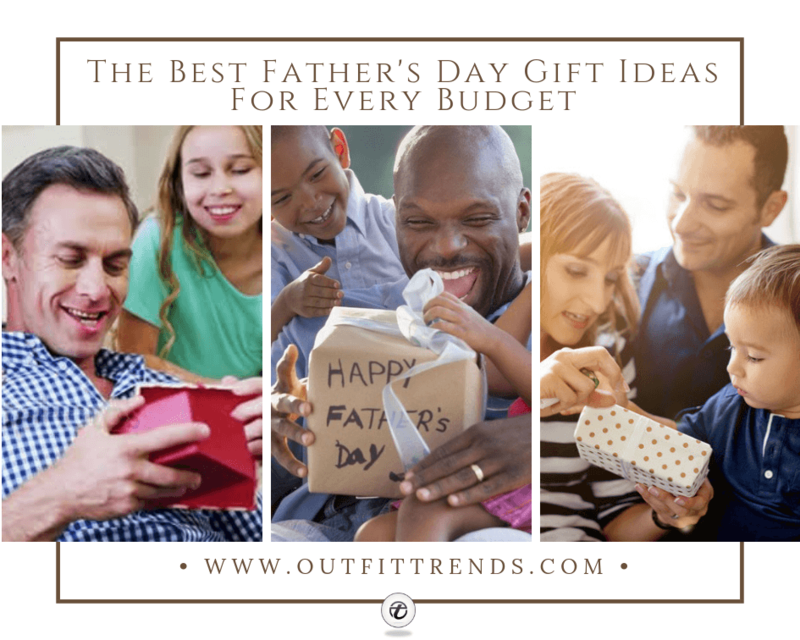 But if your dad could stand to take more time for himself, setting him up with some nice tools for a quick but indulgent routine is a great gift. Hurry up and grab him Harry’s shaving kit. How many accessories does your father have? Probably very few hence buying him accessories can be given a thought. A phone and wallet case will help him keep his phone safe and he can stash some credit cards, license, and cash too. You can add a monogram to it as well to make it special for your dad. Tea, coffee and chocolates! Dad’s do love strong smells and caffeine. Get him a coffee and chocolate gift set that includes different roasts and flavors best suited for different times throughout the day. Let your dad enjoy butterscotch, caramel, and vanilla in the morning, a dark roast for a particularly early wakeup call, and a mellow decaf after dinner. How organized is your dad? Well if he is not an organized person and often forgets about where he kept his things, a dock station is going to be the best gift for him as it will help him keep all his important things together and he will not forget anything before leaving from home. Get me a pen! Who took my pen! I’ve lost my pen again. Dad’s are often seen asking for a pen and we do know that they need the finest quality pen with a thin nib. We think that you should gift your dad a pen that he can use all the time. He’ll be thankful to you for this gift. And if you want to make it special for him you can get his name engraved on the pen. Such a cute and thoughtful gift! When was the last time your dad bought himself shoes? You probably don’t remember it. Isn’t it so? Dad’s are never going to buy themselves anything until they are badly in need of something because they are very busy working hard for you. So, why not buy him something that he surely needs? Go and check your father’s shoe size and buy him a pair of nice oxford shoes. He will be so gratified! A handwritten tie clip might melt your dad’s heart. Order him this clip and let the artist know what message you want to engrave on it. Your dad will smile and think of you every time he clips his tie. Time to recall old happy memories! Gift your dad a photo canvass with pictures from childhood. We can guarantee you that after receiving this gift he will tell you at least one great story from your childhood. Make the little things count on this Father’s day. A well- prepared traveler is a happy traveler. Here is a gift idea for the dad who is always running and flying from one place to another. You can get him a passport and luggage tag set. This will make his life a lot easier as he will be able to keep everything together and safe no matter where he is. Do think about gifting this to your dad. Father’s day is the right time to light up dad’s room with tobacco and amber scented love. We can assure you that your dad is going to be fascinated by this idea. It will warm up his living space with a subtle, masculine fragrance. What do you think of this idea? Did you figure out your dad’s likes and dislikes? How well do you know him? Is he into music or not? Does he like old music? If yes, then he’s going to love Crosley radio and listen to the music of good old days of his life. This journal can be of great sentimental value for your dad as it will be tender, silly and groveling. This journal contains fifty fill in the blank lines to describe why your dad is the best. This unique personal gift is going to be something that your dad would love to read again and again. Traditional with a twist- that’s what is thought of a stylish yet decent bifold wallet with a flap. Your dad can keep his ID and credit cards safe in it. It can be a noteworthy gift on father’s day. Your dad might want to try out something different and vintage. You can surprise your dad with Miller western shirt. He might enjoy wearing this shirt in friends meet up. It is a little colorful but can add a fresh look to your dad’s wardrobe. Is your dad a golf lover? If he is then a golf putter set is going be the best father’s day gift for him ever and every time he wins the game, he’s going to tell all his friends that you gifted him this! Dad’s have too much to do and a lot is going on in their heads all the time. At times they forget small things, the solution to this problem is a planner! A planner can help your dad note down all important things and things to do. Don’t we all love how long our dad’s perfume last? And also it is very important to smell good. You can think about buying your dad a great fragrance. Try to smell some of his perfumes and find out what kind of scent is his favorite. Sephora can be a good place for buying this type of gift for dad. Dad’s need to travel very on and off and packing can be a pretty hard job for them. At times they can misplace their ties and cufflinks in hustle bustle so buy your dad a tie and cufflink holder so that he can keep safe these items in corner of his bag. In search of buying something useful for your daddy? We recommend you to buy him a belt. It sounds like a very basic gift but it is of great utility and that’s what matters, right? So, don’t miss this chance and go for it. Cute customized cufflinks can help you win your dad’s heart and it is also something that he’ll put into use. So, get him these cufflinks with a cute message or his name over them. Chargers, cables, and USBs are so important in today’s world. Life seems to stop without them. You do get worried a lot when your dad doesn’t pick up call, right? Or when his phone is off? This charger gift set will sort out these issues. He will be able to charge his phone everywhere and stay connected with you. And the best thing is that he will not lose his cables and chargers anymore because he has a bag. Grooming set for dad! Fathers do need it. On this father’s day pamper your dad’s beard and skin. Let him know that appearance matters and you want to see him all glowing. Buy him a gift box with a beard and mustache oil along with an exfoliating scrub. Your dad might not be considered the “style guy” in the family but he still entails a tie, a new classy and trendy tie. He needs it very on and off. Be it for office use, business parties or any other occasion. Ties are a must for dad hence it can be a practical gift for him on his day. Father’s are often seen looking for a lighter or a matchbox, after all, they have to smoke. What another gift can be a better idea? Get him a customized lighter with a refill. He will take care of it more than anything else and there will be very few chances of him losing his lighter every other day. What kind of dad is your dad if he doesn’t even lead the BBQ party? Mostly dad’s love BBQ and grilling with their family as well as friends. You can buy him a cool bbq set as the previous one have been used since very long and there might be chances that it would be rusted soon. Loud music and perfect new bbq tool set will make the night worth remembering. Sunglasses for dad? This is a pretty good idea as dads are always out driving. A trendy pair of sunglasses will prevent his eyes from the scorching heat and he will look great in them as well. This can be one of the most useful things that you can buy for him. Deciding gift for dads is really a strenuous job. But in case your dad loves cigar you can buy him a cigar gift pack with each cigar having a different taste. He will love this idea and he might also share them with his friends. How about buying your dad a gift basket? You can add all chocolates and cookies of his choice to this basket. Also, add in a nice handwritten card and wrap it nicely. Your dad will love eating them and there is a chance that he will offer you some of them as well. Is it too late to buy your dad a gift or wait for his order to arrive? You don’t need to get upset over it. You can order a personalized cake or pastries from any bakery near your house. Or if they don’t agree to deliver a cake on last minute you can bake it yourself and add a small token of love to it. Hand him a card along with as well and sing him his favorite song. Make this father’s day the happiest day of his life. Thank you for reading! We hope this blog post helped you find the ideal gift for the king of your life; your father. What are you adding to the cart for father’s day this year?